Built on the Convergent Common Component Architecture (CCA) platform. Uses the same material data bases as the RAVEN Simulation Software. 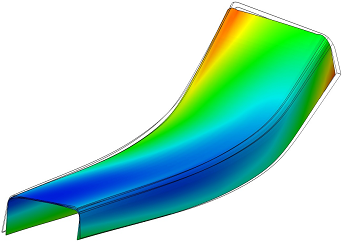 Enables advanced composites process simulation within general purpose finite element environments such as ABAQUS and ANSYS. Powerful tool for spring-in calculations and tool compensation. Handles complex hybrid structures and multi-stage processes. 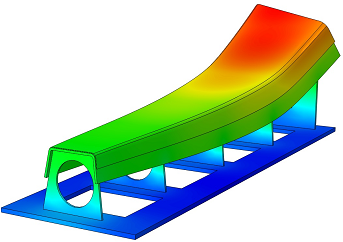 Calculate process induced deformations (spring-in) and develop recommendations for geometric tool compensation. 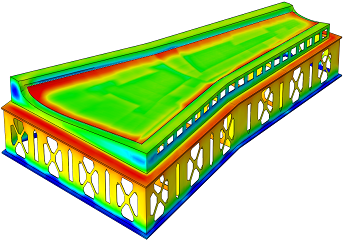 Calculate residual stresses in composite laminates and configured structures. Develop cure cycles and tooling that meets cure cycle specifications. 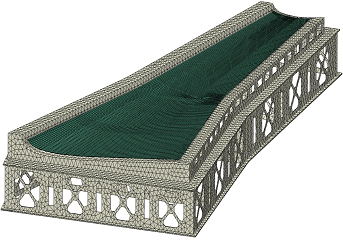 Simulate the behaviour of hybrid structures with cores, pre-cured skins, adhesive layers and inserts. Simulate the behaviour of hybrid, multi-step processes: co-cure, co-bond and secondary bonding. Redesign or optimize your process accordingly. COMPRO requires good computational resources for a satisfying user experience. A mid to high end CPU (or CPUs) that is less than five years old is recommended as well as a minimum of 4 GB of RAM memory. 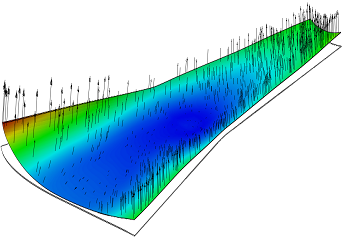 The results of the simulations can be quite large, and approximately 100 GB of free hard drive space is recommended before starting new simulations. COMPRO runs on x86 compatible hardware architectures that uses Microsoft Windows (XP, 7 or 8) or various flavours of Linux operating systems. In addition to these requirements, a valid ABAQUS/Standard v6.4 - v6.14, ANSYS R.16-R.17, or MSC MARC license is required. 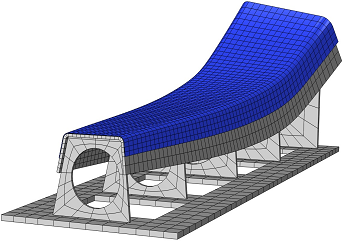 COMPRO is currently available in the ABAQUS, ANSYS, and MSC Marc FEA software packages. The following table shows analysis features and capabilities available for each version of COMPRO.